Happy September all - today marks the start of the best sailing on the east coast of the U.S. Now through the end of October we can expect sunny fall days with plenty of breeze...warm in the daytime and cool at night. A welcome relief from August. Zephyr received fan mail of the best sort yesterday from voyager who's just sailed the southern seas over the past three months with a mate on his 42' sailboat (Australia to New Caledonia and Vanuatu). He kept his friends informed of his exploits through his blog "Robins News." 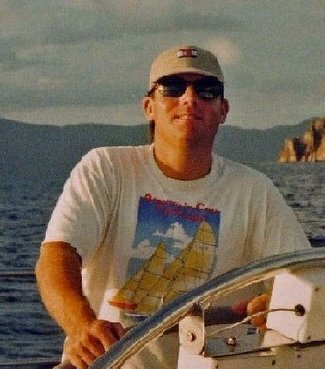 The site has some great photos and overall narrative on his journey - thanks for the note Robin and fair winds. Also worth a look is this review on a new nonfiction narrative history titled "Temple to the Wind: The Story of America's Greatest Naval Architect and his Masterpiece, Reliance." According to the author, 30-year old Christopher Pastore from Barrington, RI, his book is, “…not just about a boat. This is more about the people, namely Nathanael Herreshoff, and his evolution as a naval architect and how it culminated in one boat in 1903." Reliance was the 1903 America's Cup defender. The book will be released today by The Lyons Press.